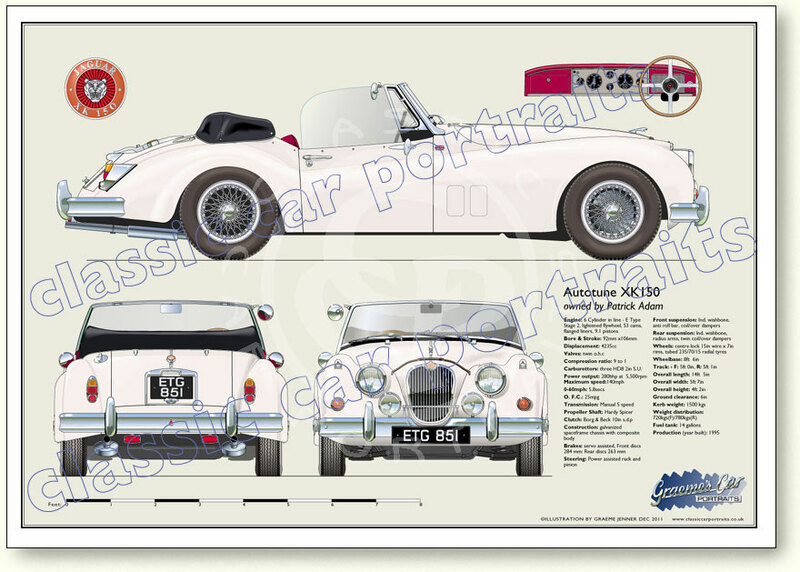 See specifications below illustration Autotune cars are usually 100% mechanically Jaguars and so, just as a typical pre-war Rolls Royce having a body built by an independent coach builder is regarded as a 'Rolls Royce' then it is fair to describe Aristocats as Jaguars, each being a unique hand built car based on XK 140 or XK150 though wider to fit an XJ6 platform. From a drawing point of view they are 'specials' and may take twice as long for me to do as other cars as they seem to be all quite different externally in the application of chrome fittings and trim. Carburettors: three HD8 2in S.U.